We embrace the Jesuit tradition of developing the whole person and focus on the connections between the practical, academic, spiritual, and humane needs of people. 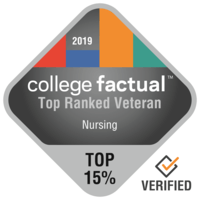 Since its establishment in 1935, the college has graduated nurses and nurse leaders who are held in high regard by their communities, employers and professional colleagues. Our graduates live our vision of movement toward service and creating a more just, humane world. If you have a college degree and want to become an advanced practice registered nurse your future begins here. Non-nurses can earn their clinical doctorate in four years. RNs with a bachelor's degree can earn their DNP in three years. RNs with a master's in nursing can earn their DNP in two and a half years. Become an Acute or Primary Care Nurse Practitioner in the Doctor of Nursing Practice program. All applicants interested in pursuing a graduate nursing degree at Seattle University College of Nursing apply to the Doctor of Nursing Practice (DNP) program. Nursing is a career that requires courage, compassion, critical thinking and leadership skills. Seattle University College of Nursing is one of the oldest nursing programs in the state of Washington. The college has a long history of outstanding baccalaureate education and is steeped in its Jesuit tradition of community outreach and service. For 80 years, we have been educating and inspiring leaders to transform health care for a just and humane world. The college provides students with the critical thinking tools and educational preparation needed for professional practice and care for individuals, families and communities through regional, national and global engagement. Sonographers are an integral part of the health care team. The Bachelor of Science in Diagnostic Ultrasound program of study prepares students for the profession of diagnostic medical sonography. Founded on a concentration in basic sciences, the program affords simultaneous opportunities for receiving a liberal arts education, as well as didactic and practical exposure to a range of ultrasound specialties. In their senior year, students spend 12 full months gaining essential hands-on experience during a supervised clinical internship. The program offers a Bachelor of Science in Diagnostic Ultrasound and Post-Baccalaureate Certificate in Diagnostic Ultrasound with either a cardiac/vascular sonography or general/vascular sonography focus. This video features College of Nursing faculty and students in action during an OB clinical at the Clinical Performance Lab.